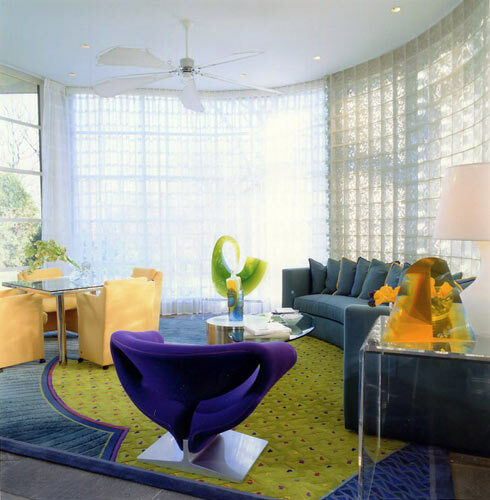 Edward Durell Stone, who designed the local Kennedy Center, and is considered a Modern Master in architecture, designed this home for a large hotel owner in the 1930s. 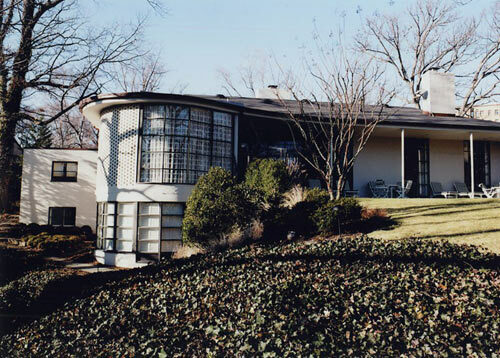 It was the first custom modern home to be built and is the only residence in the Washington area designed by him. 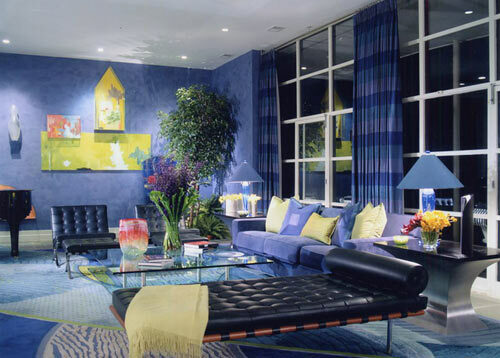 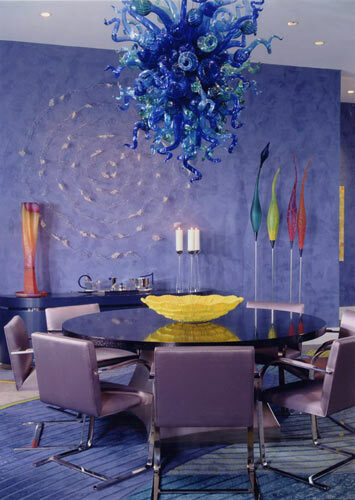 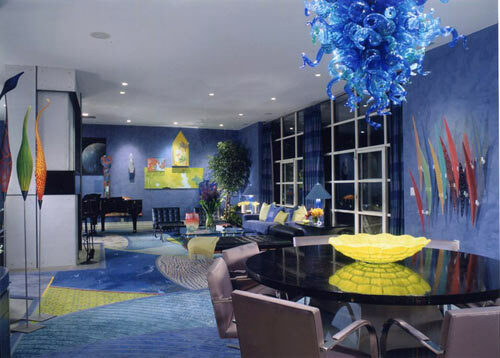 The owner is an avid sculptural glass collector for whom we've done two other projects. 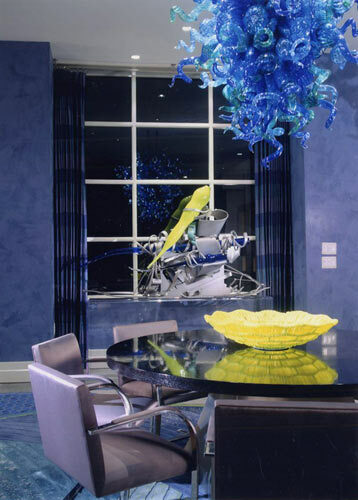 Many items were commissioned and custom made.